Tonight sees the launch of a new Street Art book by Graffito Books at The Pure Evil Gallery. 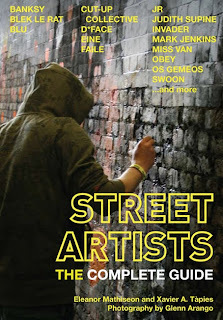 STREET ARTISTS: Complete Guide aims to be a comprehensive guide to the world’s 50 best street artists. 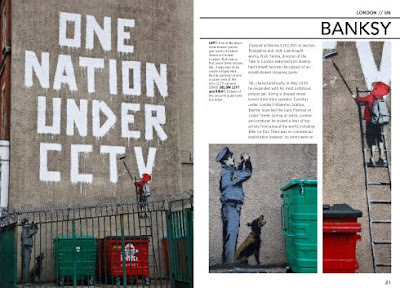 It includes the up-and-coming as well as the established greats – Banksy, Shepard Fairey, Swoon, Blek le Rat – from the world’s major Street Art locations: New York, LA, London, Paris, Berlin, Tokyo, San Francisco and Melbourne. Printed in brilliant colour throughout, with authoritative biographies of every artist, this is essential and great value reference for anyone into contemporary art. The book will be available on the night and you can also buy it online here.